South Africa is internationally famous not only for its legendary rugby athletes but also for the top-quality wine it produces. Thus, it was a natural fit for SA Rugby Legends, who manage the VUKA Rugby Development Programme, and Oldenburg Vineyards to come together to raise funds for social upliftment in disadvantaged areas of South Africa. Using Cybercellar.com as a platform, Oldenburg has provided a number of limited-edition cases of its superb wines, with one bottle per case being autographed by several SA rugby legends. This unique offering will be sold online through Cybercellar.com, which is South Africa’s oldest and most trusted online wine shop, to raise funds to help underprivileged youth to grow through the sport of rugby. 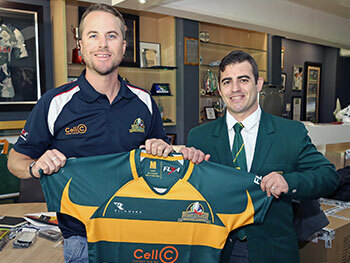 VUKA Rugby is a unique partnership between the South African Rugby Legends (SARLA) and the South African Rugby Union (SARU). 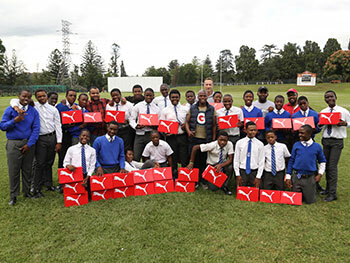 It was formed to help nour-ish and develop athletic talent by identifying young South Africans ages U15 – U19 from underprivileged areas to play in a structured rugby league. This promotes the positive values that sport teaches children, showing them the importance of team work, dedication and persistence. 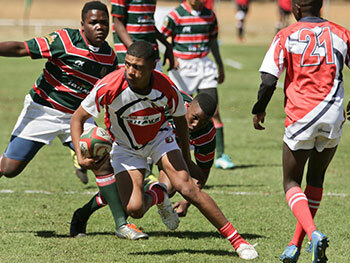 It also creates a pool of up and coming young rugby players who, through VUKA, have a shot at a brighter future. VUKA will be played in 11 provinces and in 2017, an estimated 15 000 girls and boys will partici-pate in the league. Oldenburg Vineyards, which is an independent family-run boutique vineyard in Stellenbosch, shares VUKA’s passion for creating a stronger South Africa through the sport of rugby, which is why they have donated their superb wines to VUKA. Only 150 cases exist and every case contains 12 bottles: 2 bottles each of the Ol-denburg Chenin Blanc, Chardonnay, Merlot, Syrah, Cabernet Sauvignon and Rhodium Bordeaux blend. Each case will have one signed bottle by a South Afri-can Rugby Legend, and the selling price for a case is R2990. There will also be a competition where anyone who purchases a case by 31 March stands the chance to win a magnum signed by 6 rugby legends and a signed rugby jersey. These cas-es are available to purchase exclusively through Cybercellar.com and will be avail-able from Wednesday the 1st of March 2017.